My Halloween box arrived Friday morning an I thought I'd just do a quick unboxing post! 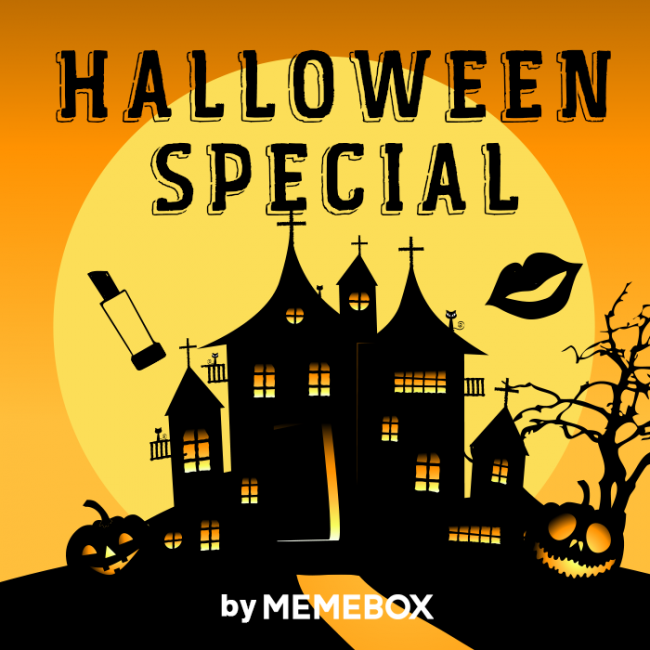 The box contains 7 full sized products, all perfect for Halloween! If you want to check out my previous Memebox unboxing, click here. Memebox says: "This unique Face Control Foundation works to cover up skin imperfections and control dull, yellow skin tone for a more refined, evenly balanced and healthier-looking complexion. 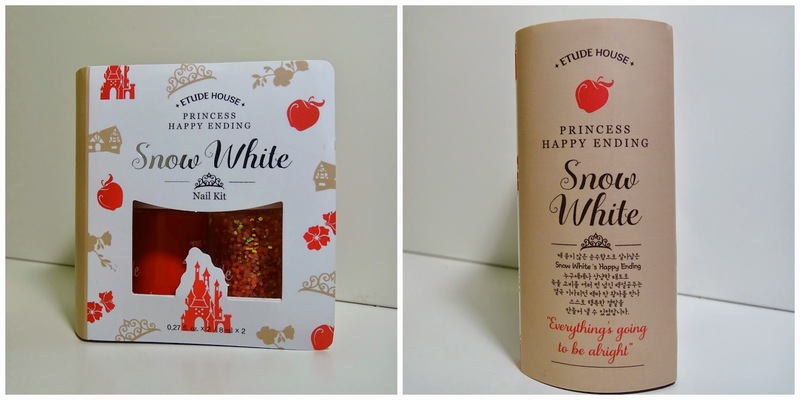 However, for our Halloween Special Box, we've included this product in 'white' to help you create that whitened-out face perfect as base makeup for featuring basically anything you choose to be this Halloween! Plus, it contains natural preservatives such as green tea extracts and magnolia extracts, and thus gentle and suitable for all skin types." I used this as the base for my Sugar Skull look (here), it was easy enough to work with. You just need to build it up to make it more opaque. It does transfer though, which is quite annoying! Memebox says: "REVECEN's Cake Eye Liner is made into a hard-type powder formula which can be used as an eyeshadow, but when mixed with a little bit of water, it turns into a gel-type eye liner and you can control how gel-like it is by regulating the water concentration. Use a thin brush or paint brush to paint things like a spider's web or a devil's eye on your face." When I first opened this up, I was so disappointed. Just a boring black eyeshadow, and one that wasn't at all pigmented too? No thanks. But then I read the little information card and tried it with a bit of water. I was really impressed by it! once you dip your wet brush in and give it a few swirls, it becomes quite pigmented. It doesn't smudge either, which is always a big plus. The only annoying thing is that it dries really quickly, so I had to keep running back to the bathroom to wet the brush. It washes off easily with soap, which is great too! I used this for my Sugar Skull makeup too. I kept a little cup of water with me so I could keep wetting the brush. Really happy with how it worked for that! TL;DR: As an eyeshadow it's pretty crap, but as an eyeliner/facepaint it's pretty good. Memebox says: "This Supra Lining Color is a real face and body paint and its color formation, gentle formula and lasting strength is highly acknowledged and well-loved by Korean beauty explorers who enjoy experimenting with different items for creating various eye, lip and facial makeup looks (especially for Halloween!)." I tried this out under my eyes, blended out it creates such realistic dark circles, perfect for a zombie look! Memebox says: "Thick, exaggerated, and glittery fake lashes for this Halloween? REVECEN boosts many lash types and its gentle acrylic emulsion for adhering the fake lashes over your own. Maintain your lashes healthy and strong while beautifying with these lovely accentuations!" Memebox says: "There's no need to purchase a bottle of fake blood this year with REVECEN's newly formulated Liquid Lipstick in blood color! Specially designed to resemble liquid blood, this lipstick can be used not only for creating that bloody lip makeup but also for painting blood gushing out of your eyes and mouth or for featuring a fake scar." 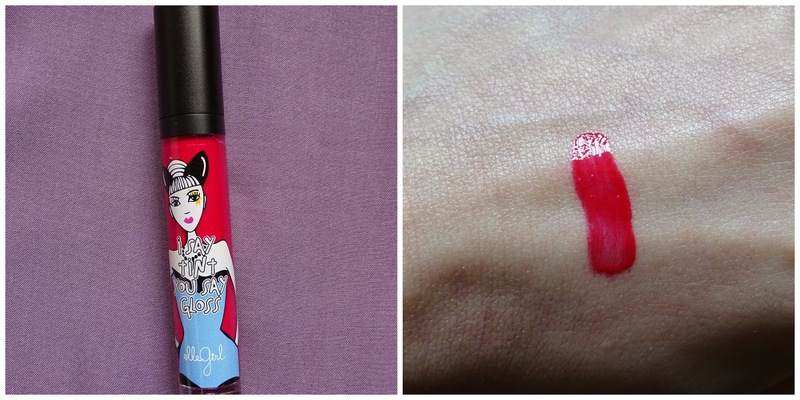 I haven't used this as lipgloss/fake blood yet, but did use this for my sugar skull look too! It looked great and all, but never really dried so it transferred like crazy on my hand when I touched my face when I was washing it all off. Memebox says: "Ever though of getting a tattoo on your lips? Completely waterproof and lasting for more than 8 hours without any smudges whatsover, Elizavecca's Lip Tattoo offers you a fun, unique beauty item to play around with this Halloween. Indulge in deep wine or a dark burgundy colored lip tattoo!" These are disappointing. If you're going to include a lip tattoo, include one with a crazy pattern or something, not a solid colour that I can get in the form of a lipstick or lipgloss! Memebox says: " LALANC's fashion Real Tattoos are easy to apply, long-lasting, waterproof, and actually look like real tattoos. Pick out a skull, a wing, or even an anchor and tattoo it right beside your eyes, on your neck, over your wrist, or wherever you want to add a special finish to your Halloween concept." I love me some temporary tattoos! I've got the crown one on the bottom right applied right now, photo here! All in all, I did quite enjoy this box, especially the tattoos and the gel liner. I'm expecting my next box to arrive in the next two weeks (yes, I ordered a *few* more boxes! ), so keep your eyes peeled for that! Halloween is right around the corner, and today I've got some really cool Halloween themed press-on nails to show you. So if you're looking for the prefect mani to go with your costume, look no further! The imPress Limited Edition Halloween nails promise to give you some spooky yet super cool nails instantly. There are six designs in the collection, all perfect for Halloween, and the ones I was sent are Hot Blooded and After Midnight. I'd never tried fake nails before these, so I wasn't sure what to expect really. I was surprised though at how fast it was to apply these! You literally just find the right sizes for all of your nails (each pack has 24 nails, so it'll cater to pretty much all nail sizes), peel off the little tab at the back of the nail and stick 'em on. And that's it! Done and dusted in a matter of seconds. I have to say, I'm really 'imPressed' with these (ha, see what I did there?). I'm definitely going to be sporting the other set next week, and I think I may have a look at the other designs so I can have one to wear on Halloween night. They're just such a great way to vamp up your Halloween costume, or if you're not really into costumes but still want in on the Halloween spirit, this is such a simple yet fun way to do so! These are available in leading pharmacies, retailers and selected Penny's stores nationwide, for €4.99 a pack. 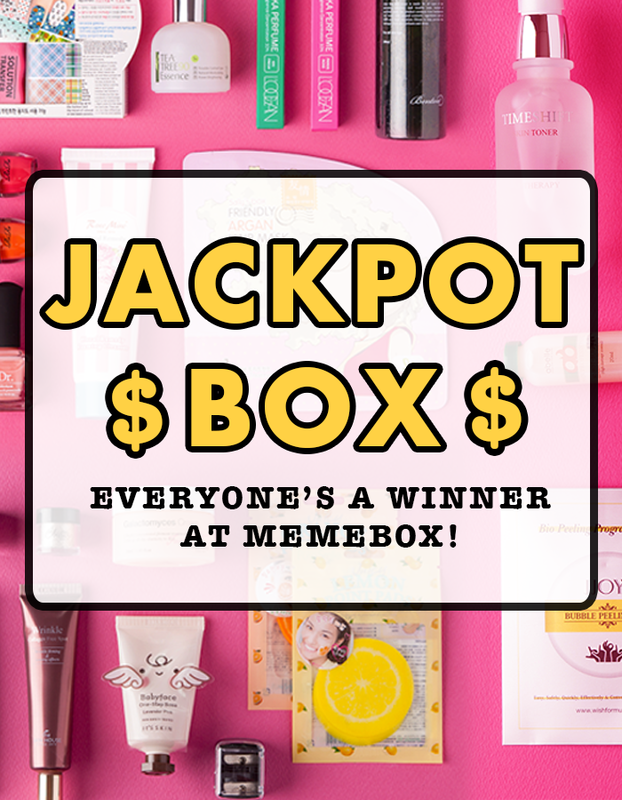 I've been hearing a lot about Memebox over the last few months from various YouTubers and bloggers. I'd been tempted to try it out for a while now, and I finally got myself a box when they launched the Jackpot Box back in August. 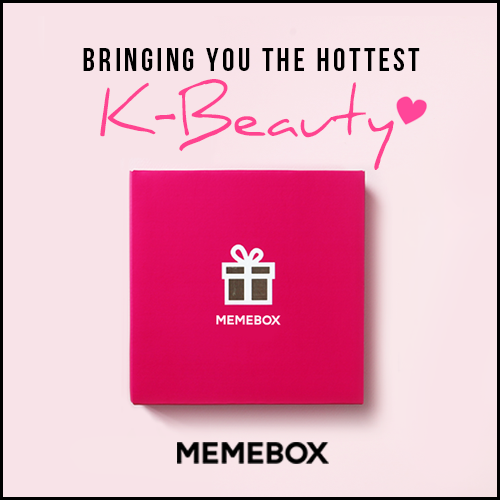 Memebox is korean beauty box service, filled with korean skincare, makeup and haircare products. 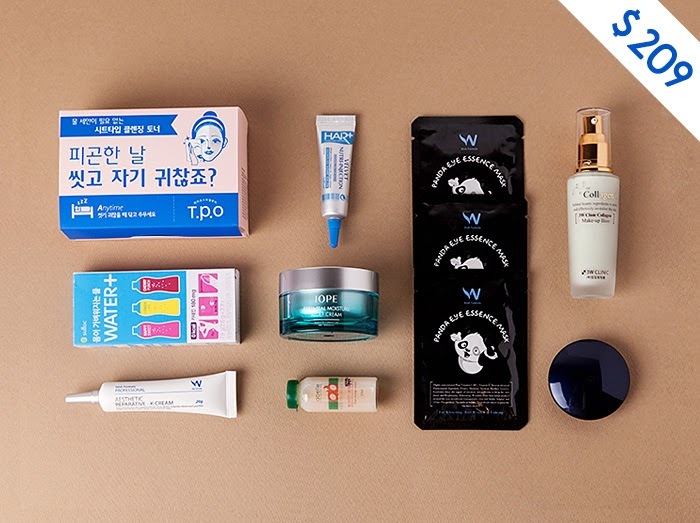 I've been loving Korean beauty products for a while now, and that's mainly why I decided to go for Memebox as opposed to the likes of any of the other hundred or so beauty boxes out there. The Jackpot boxes claimed to hold products with a total value of $155 to $1000, with the former being the value of the ninth place box and the latter of the first place box. I got the fifth place box, which Memebox says is worth $209. The box only cost $34, including shipping, so whatever place box you got, you got more than what you were paying for. Memebox says: "A dual item for both lips and cheeks, this rosy lip & cheek stein comes in a neat, compact packaging with a mirror as well. Blend it into your lips and cheeks to add more color and radiance to your overall complexion." This was one of my favourite items from the box. It gives a pretty pink colour to both lips and cheeks, and it's really easy to apply too. 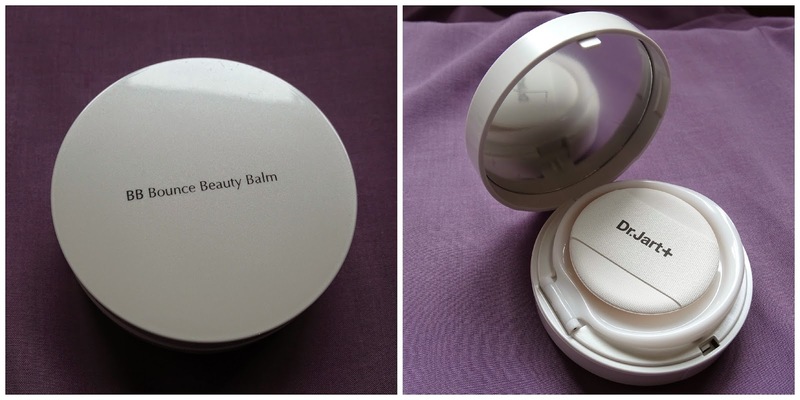 I've used this both as a cream blush and on my lips, it's a really nice product. Memebox says: "A light-textured moisturizing cream especially suitable for the summer time, the Essential Moisture Relief Cream soothes, moisturizes, and tightens up the dried, worn-out skin overnight for a refreshing revitalized condition the next morning." This cream is really hydrating. It's absolutely freezing when you apply it to skin and I got quite the shock when I first applied it. 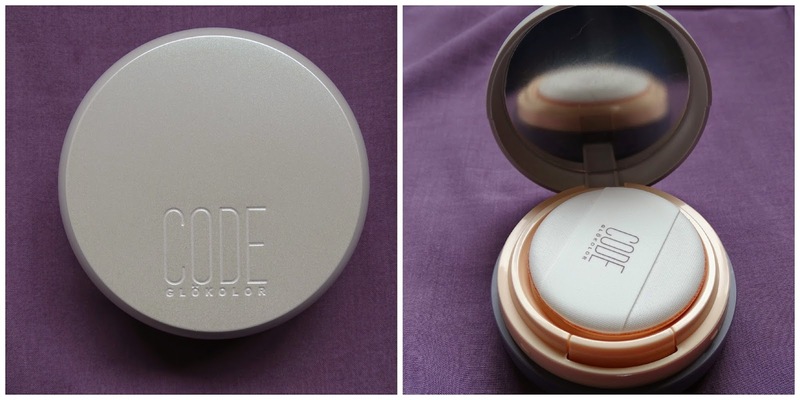 Memebox says: "This silicon type Collagen Make-up Base contains blemish-control powder components for matting out and preparing the skin condition before foundation application. The high level of adherence and long-lasting formula helps maintain your makeup silky smooth all day long." I love the smell of this primer, I can't quite place it, but it really reminds me of something. In terms of packaging, I think the glass bottle and pump features are quite nice. The pump is a bit stiff though, and when you finally get it to work you always end up with too much product. Memebox says: "A facial cream for soothing and nourishing stimulated skin, the Aesthetic Reparative-K Cream is packed with high concentrates of centella asiatica extracts, jojoba oil, sunflower seed oil, and gold extracts. Its soothing formula works to hydrate and calm reddened, sensitive skin by creating a protective layer on top and also by instigating skin regeneration." I haven't had a chance to try this yet, so I can't really say much about it. Memebox says: "Made from pure vitamin C, vitamin E, and various fermented components – honey, beans, mistletoe, licorice, and bacillus – the Panda Eye Essence Mask brightens up the skin tone and treats fine lines & wrinkles, for moist eye contours." The packaging for these are just so cute! I love using under eye masks, so I'm really excited to try these out! Memebox says: "A unique hair ampoule that warms up all by itself and absorbs deeply into your hair, this highly concentrated ampoule is made from E.G.F, hydrolyzed keratin, hydrolyzed collagen, and hydrolyzed silk which all work to strengthen the hair cuticle and make your hair shine with a natural glow." Another product I haven't tried yet. I think I may try this out over the weekend, it sounds pretty interesting! Memebox says: "T.P.O’s toner sheet is perfect for quick makeup fix-ups, for removing makeup residues, or even for refreshing and moisturizing dry skin throughout the day. There’s no need for double cleansing with this item because it’ll quickly and easily cleanse away any skin impurities with just a single swipe." Not much to say about these, they're just your average makeup wipes. I don't think they're particularly special or anything. Memebox says: "For all those damaged hairs out there, the Velvet Nutri-Injection is here to save the day! There’s absolutely no need to rinse after application. Simply apply it throughout your hair, especially the damaged ends, after towel drying, and experience results of a hair clinic program!" My hair gets quite dry so looking forward to using this. Memebox says: "The Sulloc Water+ contains 180mg of catechins which are potent antioxidants most active in green tea, 2.5mg of pantothenic acid, and an antioxidant level equivalent to 12 full tomatoes. Feel lighter, younger, and more vital with what Water+ has to offer!" I tried the Lemon Lime one out. The instructions on the box tell you to add the powder to 500ml of water, but doing so just gives you a hint of lemon/lime taste. It's not bad tasting, but I think for the other two sachets I'm going to put in less water so the taste really comes through. Overall, I do wish there was a better balance of beauty and skin care. I like the box well enough, but I do wish there were more make-up products included. I've already ordered 3 more boxes (oops! ): the Halloween box, the Tony Moly box, and the Etude House box (because I love me some Etude House!). I got an email this morning informing me that my Halloween box is on its way, so expect an unboxing of that soon! I was sent some brushes from Pink Avenue a few weeks ago (I actually won one of them in a twitter competition!). Created by make-up artist Rachel Cleary, the range includes four brushes: a foundation brush, a powder brush, a contouring brush and an eyeshadow blending brush. I was sent the eyeshadow blending and the contouring brushes. I really like the blending brush too, just not as much as the contouring one, only because I don't use it as often. It's also pretty soft, not as soft as the contouring brush, but in no way scratchy or stiff or anything. It does live up to it's claims though, which is the important thing really, blending shadows easily and beautifully. As with the other brush, it washes well too. At only €9.99, it's a steal! Overall, I'm quite impressed with these. They work really well and are so affordable, and I'm really hoping Rachel expands the range soon! You can get these brushes through the Pink Avenue website or in selected pharmacies nationwide (I know for a fact you can get them in Meaghars Pharmacy on Baggot Street! ).